Gastroparesis is a condition in which the stomach is unable to empty itself of the food that is eaten. This condition is associated with the nerves and muscles which control the emptying of the stomach. If some damage is caused to the vagus nerve, the muscles in the stomach and the intestines do not work properly to move the food. Though the exact cause has yet to be determined, the main culprit of this condition is supposed to be poorly controlled diabetes. The high levels of blood glucose damage the nerves and cause gastroparesis. Certain diseases and medications too can damage the nerves and cause this condition.There is always a general feeling of sickness, pain in the abdomen, vomiting, weight loss, bloating, loss of appetite and heartburn. It is important to take preventive measures immediately as continuous vomiting can lead to dehydration and gastro esophageal reflux disease. Aloe vera is full of natural healing qualities. It is very good for gastroparesis as it helps with digestion and regulates the bowel movement. 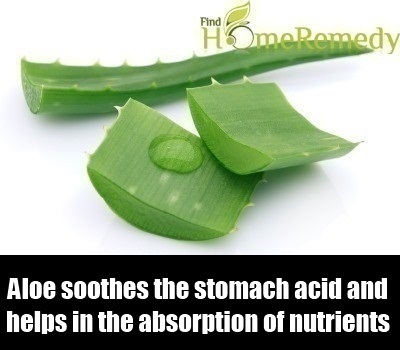 Aloe soothes the stomach acid and helps in the absorption of nutrients. It keeps the whole gastro-intestinal system strong and healthy. It also removes the harmful toxins and helps to rebuild the beneficial flora. Drink one cup of aloe vera juice every morning for the regular emptying of the stomach and a satisfactory bowel movement. Ajwain besides being full of valuable nutrients also has great cleansing and purifying properties. It helps in digestion by stimulating the digestive enzymes and promotes a quick and complete bowel movement. Ajwain also provides vital strength to the nerves and muscles in the stomach. 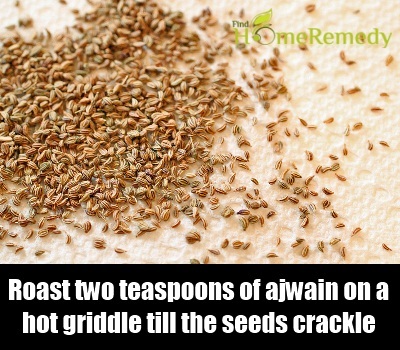 Roast two teaspoons of ajwain on a hot griddle till the seeds crackle. Grind the roasted seeds and mix half teaspoon of kala namak and a quarter teaspoon of asafetida with it. Swallow the mixture with a glass of water. Asafetida is known as the digestive spice. This pungent spice is widely used in ayurvedic medicine to treat all kinds of gastro-intestinal problems. It sets to work as soon as it is ingested and brings immediate relief in the abdominal pain and heartburn. 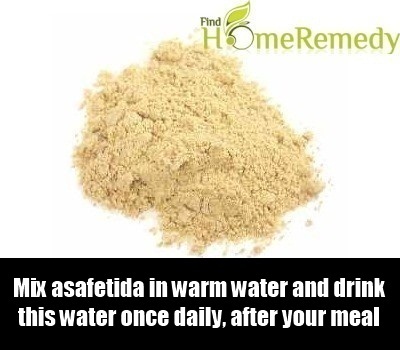 Take a cup of warm water and stir into it a quarter teaspoon of asafetida till it is completely dissolved. Drink this water once daily, after your meal. Isabgol solves all kinds of digestive problems. It is full of nutrition and dietary fibre which helps to push the food out of the stomach into the small intestine and from thence into the colon and eventually out of the body. The fibre provides roughage and bulk to food and helps it to move easily and quickly through the digestive tract. Swallow two tablespoons of isabgol with some hot milk, once in the morning and once at night before going to bed. 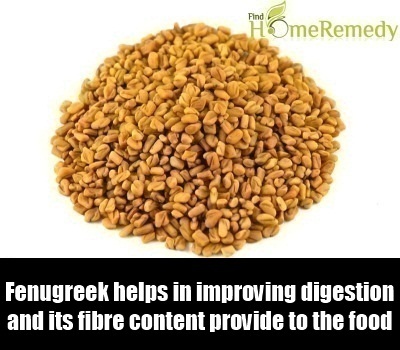 Fenugreek is full of vital nutrients that keep the whole body fit and strong and its entire organs well functioning. It helps in improving digestion and its fibre content provides bulk to the food and helps it move easily and smoothly. Swallow a teaspoon of fenugreek seeds with some water every morning.